Your dream just came true!! This open concept beautifully renovated home will make you happy that you haven't found the one, until now!! 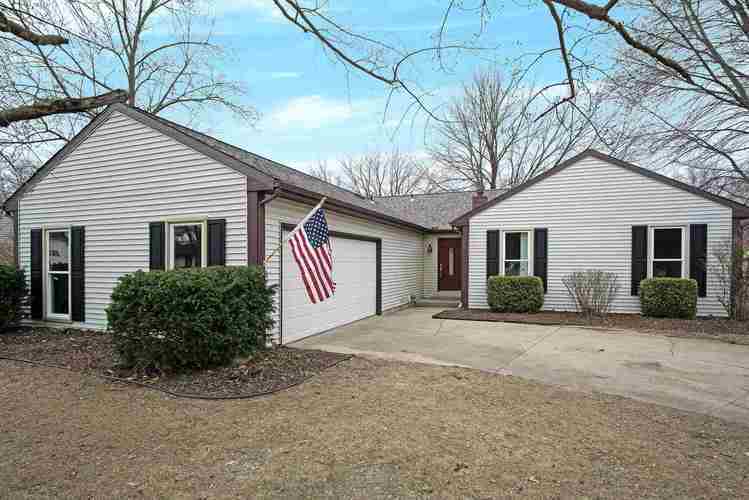 A meticulously renovated Ranch in PHM schools in the highly sought after Timberline Trace subdivision in Granger! With 3 bedrooms, 2 full bathrooms, and a finished basement, it has everything you have been looking for! A stunning master ensuite with a tiled shower, granite countertops and a shiplap accent wall! Refinished original hardwood flooring throughout the main living area where you will fall in love with the cozy fireplace and adore all the natural sunlight coming in through the new vinyl windows and arches! Your dream home, has a dream smart kitchen to match! Brand new white cabinetry, granite countertops, stainless steel appliances and a tiled backsplash! The finished basement is that extra space that you need for a family room, game room, man cave or whatever you want! The yard is fenced in and ready to go for pets or kiddos! Too many updates to name but here are a few! Brand new tear off roof, new windows, new carpet, all new paint, refinished fireplace, new water heater, new furnace... the list goes on!! Why are you still reading? Contact us today before this one flies off the market!! Seller will even roll the yard and sow grass for you for spring and the last few windows that need to be replaced are on order! Nothing to do here but move in and enjoy! Directions:Currant to Anderson, Left on Pennyroyal , Left on Timberline Trace South, home is on the Right.